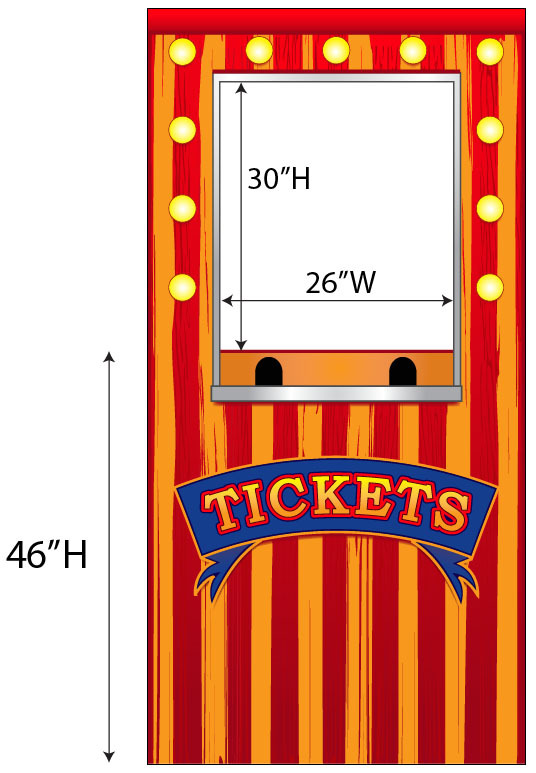 Carnival Ticket Booth Photo Cardboard Cutout Standup Prop - Dino Rentos Studios, INC. 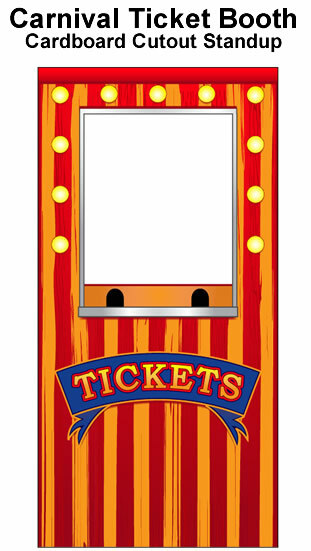 This Carnival Ticket Booth Photo Cardboard Cutout Standup Prop is great for your Circus or Carnival themed party, display or production! Stand behind the prop for photo-ops! 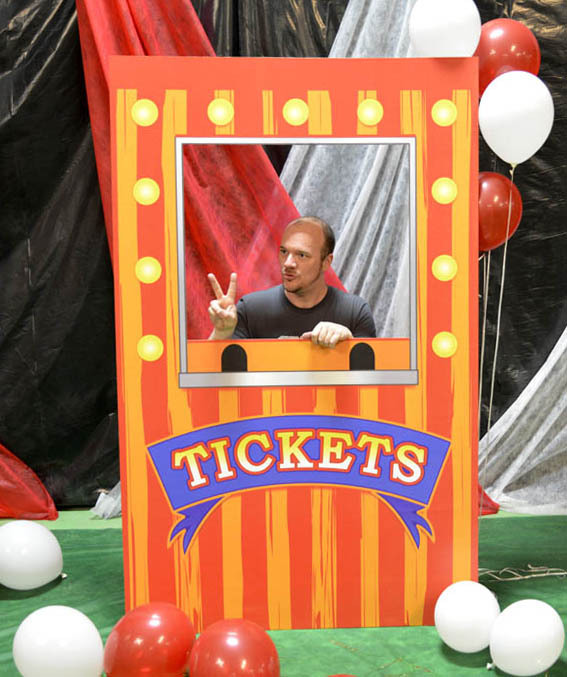 Fun for parties and interactive events! The prop is over 6.5' (78”) tall by 3.5’ (42”) wide. This is a flat façade cardboard standup prop. It is not three-dimensional (3D).